I've written a couple of posts over the last few weeks about how to make money from home. I had planned on writing the next one on blogging for income, but the truth is - there isn't much money to be made from blogging. Unless a blogger writes an amazing viral post that is seen by over a million people, ad revenues are slim at best. Affiliate marketing is huge... for some bloggers. I've seen some women who could sell a ketchup popsicle to a lady wearing white gloves, and after reading their posts - I click through to the marketplace. Those are few and far between however, and I for one haven't figured out that art. The trouble with blogging is that we sit here in front of our laptops, and pour out our souls into this little white box, and at the end of the day we're unsure whether we've made any sort of impact. This is my way of connecting with people. Blogging is my community. Without the love from my readers, and fellow bloggers, I would be a hermit - sitting in the corner watching Netflix and snacking on Reese's Cups, wishing I had some sort of outlet. Writing has opened my life up beyond my living room, and I think I've found my place in life. I know there are a lot of other bloggers who feel the same way - that writing to the world is their way of connecting and communicating their ideas and thoughts beyond those around us. Sometimes we're not able to talk about the things we truly love with our families, because they wouldn't understand. That's why it's so important to be a part of our community. 1. Don't be afraid to comment. 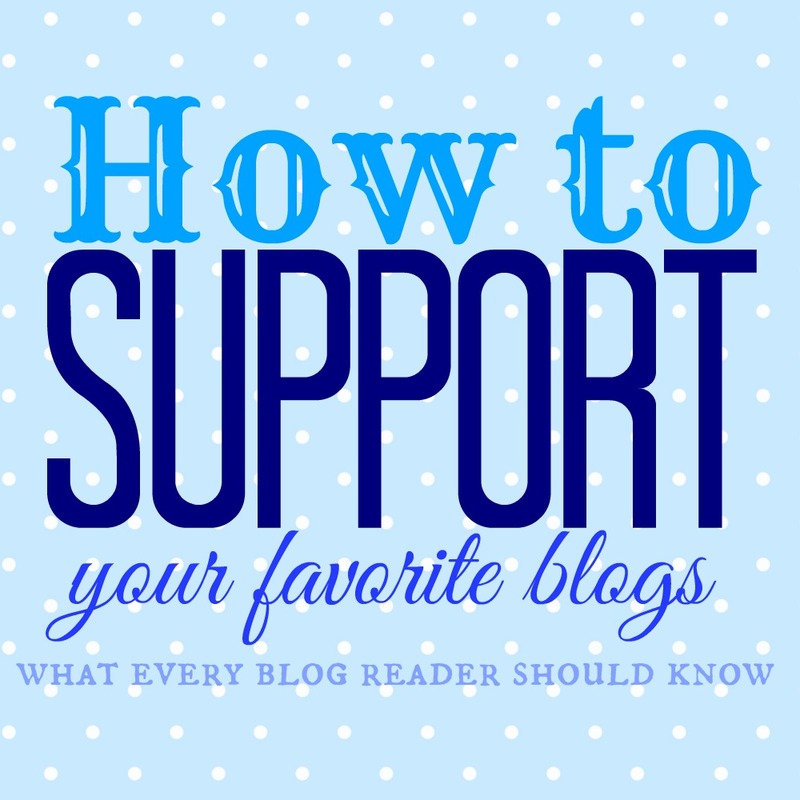 A blogger will take hours, if not days, to painstakingly put together a post for you. How-To's, Crafts, Recipes, Reviews... They all require a lot of planning, writing, photographing, and editing before they are ever published. If you found a post helpful, or even if you have another way of doing something that might work better - comment on the post and let them know. Even if a post is just a thought-provoking rant, a little comment lets the blogger know that they've made some kind of impact. 2. Don't be rude. You aren't always going to agree with us. Heck, we might even be completely wrong about something. We love feedback, so tell us what we need to know. However, it's something entirely different to ridicule us or put us down for our opinions. 3. Take the conversation beyond the blog. Something that your favorite blogger wrote really captured you and maybe you have some questions. Or maybe a recipe that you tried turned out amazing and you want to share. Don't be afraid to click one of our little social media icons and let us know! We love to hear from our readers, especially beyond the blog. 4. Share our posts. So you read something on a blog today that really made you think. Maybe it was a story about someone's struggle with a family member. Maybe it was a craft you really want to try. Maybe it was a product review for that new baby gear you want. Whatever it was, if you were interested - your friends probably are too. Share it! This not only helps increase our exposure, it makes us feel warm and fuzzy inside. 5. Buy the things we blog about. Now, I'm not saying to open your wallet up every time we write a review, but if you're shopping for a stroller and read a great review on someone's blog - don't be afraid to click through their link to make your purchase. The small amount of income bloggers do make is generally through affiliate sales. That being said - there are some blogs that are sellouts. But if you have a blog that is giving you their honest opinion about a product, and they still love it? Chances are, you'll love it too!